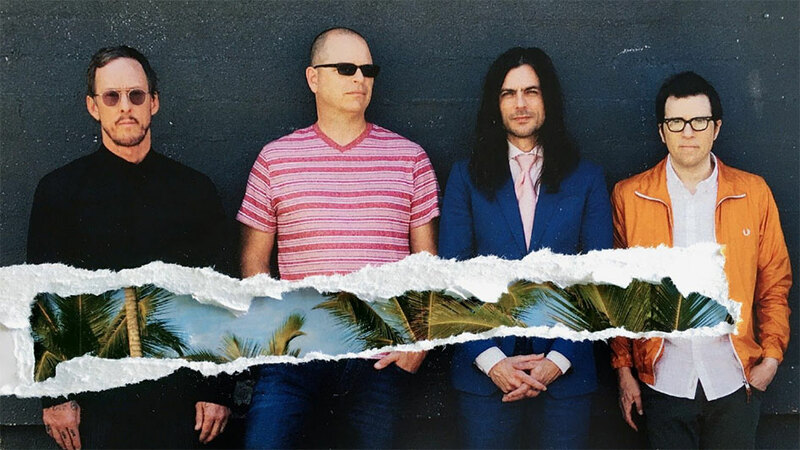 After the critical and commercial success of Weezer’s self-titled White Album, and the release of the stand-alone single “I Love the U.S.A.,” Weezer has released another single titled “Feels Like Summer” in anticipation of their upcoming album. One listen through and you can get a sense of a few things. Firstly, Weezer has clearly picked up a few ideas from their U.S. tour with Panic! at the Disco. The intro is reminiscent of Panic’s “Victorious” in that both seemed to have used the same crowd to record the eerily out-of-place sample. The structure is very similar as well, foregoing the typical guitar licks and nerd-rock for electronic instruments and a more pop feel. The song accomplishes this, taking the listener on a journey from segment to segment, which works to its benefit and deficit. Though it has an interesting sound that keeps the listener engaged, each portion feels disjointed, and the transitions are sudden and awkward. The vague lyrics both create a sense of mystery, but also make the words feel generic and two-dimensional, like a first draft that was never revised. “Feels Like Summer” delivers an interesting sound that indicates Weezer is exploring away from their typical style of nerd-rock, which after over two decades is just starting to dry up, an accomplishment unto itself. The beat is catchy, and the addition of electronic sounds along with an explosive chorus that stretches Cuomo’s vocals is refreshing. However, if their whole next album is entirely more of these emotionless drops and beats, the exact opposite of what made the White Album a success, they might be taking a step in the wrong direction.